A live set from the Willisau Jazz Festival and one of the lesser items in Hemphill’s discography, seriously marred by his choice of sidemen. The Cline brothers have done good work since and elsewhere, but here they demonstrate no real empathy with Hemphill’s sound, guitarist Nels in particular giving himself over to rockish displays that clash with the material. This was especially disappointing given the inclusion of two of Hemphill’s finest pieces, “The Hard Blues” and “Dogon II” (a variation on “Dogon A.D.”). 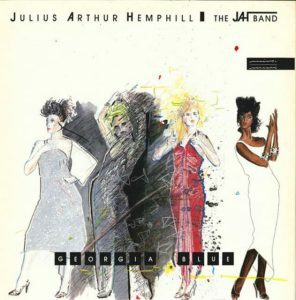 Hemphill’s own playing, particularly on alto, is fine and arguably the record is worth hearing just for that, but with Cline serving as the other “horn,” the sound is thin and the rich counterpoint lacking, the guitarist having an unfortunate tendency toward gauzy, Frisell-ian effects on ballads and lackluster comping on the bluesier pieces. It’s entirely possible, of course, that this was what Hemphill was going for at the time. If so, it appears to have been a miscalculation. Additionally, the bassist, here credited by the single moniker Steubig, has all the subtlety of a hippo; cellist Abdul Wadud is sorely missed. If things weren’t dismal enough, the album cover, looking as though drawn by a fashion-school dropout, is possibly one of the worst ever. For Hemphill completists only.